There are many techniques that can be employed to save water with which Metrolina Landscape can help. Good soil preparation is one of the best ways to save water. The addition of soil amendments including plenty of organic material will help the soil retain moisture reduce the frequency of watering. A proper application of mulch will help reduce moisture loss and promote root growth. Plant selection is very important. Our landscape designers can help you select shrubs, trees, and turf that will thrive in hot dry conditions. Keeping your turfgrass in good condition is important. A healthy lawn will resist damage from heat and drought. Correct mowing height will reduce the volume of water required to maintain a beautiful lawn. Regular aeration of turfgrass will improve water infiltration, reducing the frequency of watering. 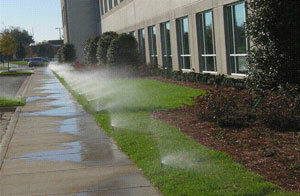 Metrolina Landscape installs a number of water saving devices for irrigation systems. 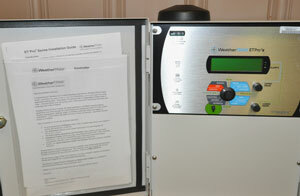 These include rain gauges that will turn the system off if it has rained recently. Soil sensors that measure the amount of moisture in the soil, then turn the system on or off as required.